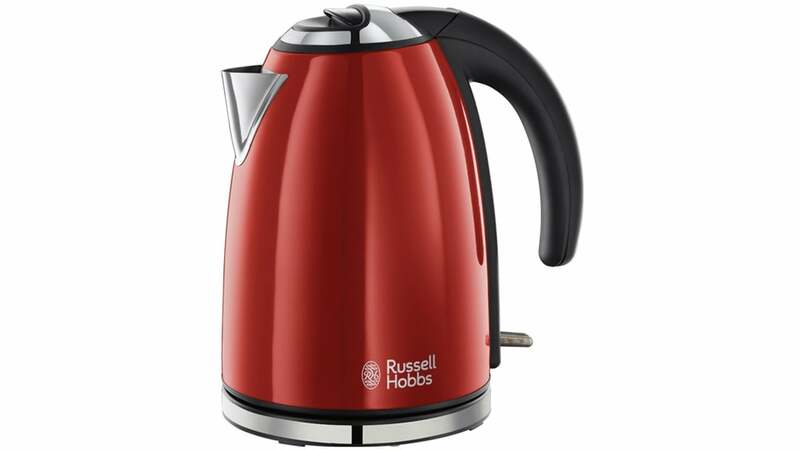 This Russell Hobbs electric kettle features a tapered cylindrical design made from stainless steel with a brushed finish. The handle and lid opening are made from black plastic so will never heat up during use. The internal heating element is controlled via a switch with an illuminated ON/OFF indicator. This kettle holds up to 1.7l of water that is heated by a 2,200W element. The base doubles as a cord storage unit.